two main factors that emanated from its Nigerian operation, which was established about 17 years ago. MTN rolled out its commercial services in Nigeria in August 2001, few days after Econet Wireless (now Airtel Nigeria) rolled out its commercial services, but had since become the largest network operator in Nigeria, with over 61 million subscribers on its network. In spite of the challenges, which caused its turnaround revenue to slide in 2016, the telecoms company said its prediction in 2017 that it would bounce back from its first net loss in 20 years recorded in 2016, has yielded results. In a stock market statement issued ahead of the release of its annual results in March, the company said earnings will improve due to the resolution of problems in Nigeria which caused it to post a net loss of ZAR3.1 billion ($260 million) in 2016. Major hits to its figures in 2016 included the payment of larger instalments on a hefty fine for failing to register the personal details of 5.1 million customers in Nigeria. It also reported an equity loss on a 51 per cent stake held in infrastructure company, Nigeria Tower Interco, which was attributed to the weakness of the local currency against the US dollar that same year. These two factors, in addition to currency issues in other markets and decline in prepay in its home market of South Africa, led to its major revenue loss, the company said, but assured its subscribers that it is confident of earnings turnaround in an anticipated swing back into profit, having settled the huge financial burden from the Nigerian market. MTN Group CEO, Rob Shuter who gave the assurance, hinged it on the telecoms company’s future expansion prospects and aim to become the largest financial services provider in Africa. During 2017, the company also pressed ahead with preparations for the IPO of its Nigeria unit and, in November, Shuter talked up the growth prospects of its units in South Africa and Iran. The MTN boss who spoke in South Africa recently, said the company is targeting its mobile money subscribers across Africa within the next four years, with the eventual aim of becoming the largest bank on the continent. He added that the operator would use its brand strength to continue to push mobile money services across the markets it already operate in. Finance is the digital service the company would “put its money on” for the future, Shuter said. According to him, around 21 million customers today use MTN’s mobile money services, adding that the number is growing at a rate of half a million active users per month. MTN operates mobile money services across 14 markets in Africa including Ghana, Ivory Coast, Rwanda, Cameroon and Zambia. Last week the company announced it would increase the scope of its Ghana service to include purchases from the Google Play app store, which is part of a bid to increase the number of transactions its customers make using the service. 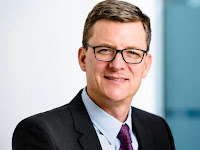 Its goal of becoming the number one provider of banking services on the continent will see it compete with ambitious plans from Vodacom, which is preparing to export m-Pesa to new markets in a bid to further expand its operations in the sector.